LEXINGTON, Ky. (Feb. 19, 2019) — A lifelong fan of the University of Kentucky, DeBraun Thomas moved to Lexington from the San Francisco area several years ago to attend UK. At UK, he continued to explore his love for music and radio. But he also expanded his interest in student and community activism. After completing his studies, he took a position at UK’s WUKY public radio station, while playing in, and promoting, local bands and the Lexington music scene. Fueled by a passion for history and making community change possible, he also began exploring the contradictions and challenges associated with statues at Cheapside Park in the heart of downtown Lexington. The site was home of one of the country’s largest slave markets prior to the Civil War. After the war, statues were erected of Confederate-era leaders. Over the years, the statues periodically sparked dialogue and debate. But it wasn’t until Thomas and others forced the conversation, that change happened. The co-founder of the group Take Back Cheapside, Thomas helped lead a community conversation over 18 months that culminated in the removal of the statues in 2017. They are now housed at the Lexington Cemetery. 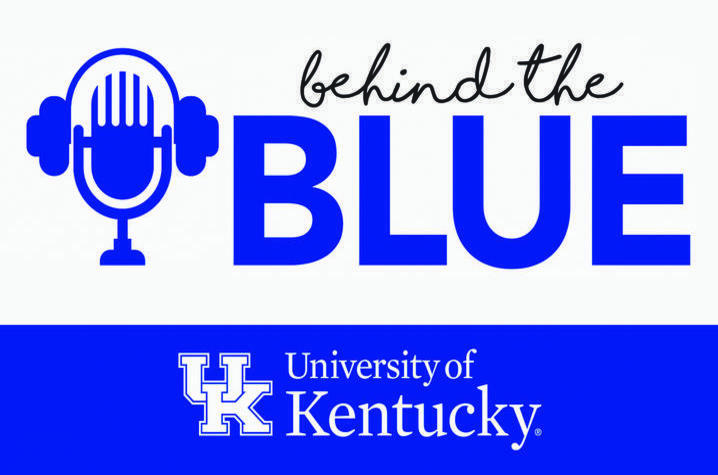 In this edition of "Behind the Blue," Thomas discusses his time at UK and what he learned, the process that led to the removal of the statues, his passion for music and his continued interest in community activism and dialogue.